This week we are trying something new with the blogs, I’d thought i’d hand the writing reins over to someone else this week as I somehow ran out of time this week! So armed with a keyboard and the instructions of keeping the blog inline with running, charity and health, my good friend Hannah is taking over today to continue along the lines of last week and talks about mental health. If you enjoyed the idea of guest blog then let me know in the comments and maybe I make it into a monthly thing in the mid-week? I’m sure that you all will have experienced stress in some shape or form at various points in your lives and that you have ways to manage it. For me, it can be anything from a gruelling workout to turning my music up loud and painting. Eric also uses art and has produced some amazing work over the last few months, or he goes for a run, although running has now become more than simply stress relief, it has instead evolved into his biggest challenge. I have never even contemplated something as big as the Corner To Corner Run across the USA, that the man most of us here in Kitzbühel liken to Forrest Gump has chosen to undertake. Having said that, I have in the past also taken my stress relieving workouts to addictive and obsessive levels and have learnt some important lessons from this experience. Short term, I needed the release and felt the benefits enormously, my self-esteem rocketed, it meant I could forget all the things that were causing me problems for a few hours a day. Although, long term, I had to learn that if you don’t balance physical activity with caring for your mental wellbeing you will just cause more problems by not taking time to rest and piling on physical stress to the emotional factors that you have not solved, only found relief from. Eric is like a brother to so many of us here in our close knit Alpine community and, naturally, we worry about him as he comes closer and closer to setting off on this epic adventure. We all know he is determined and will put his all into this and hope that he takes the time to rest and take care of his mental well being during this time too. In his last blog, Eric talked about loneliness in ultra-running and that he has never really struggled with the voices in his head before, but this trip will be longer that any of us, including him, can really imagine and those voices may creep in. With this quote in mind I would like to appeal to anyone reading this to donate to the Spinal Research. If you see him on the run, buy him a cup of coffee, simply ask how he’s feeling and give him that basic human interaction we all need. Drive carefully so as not to hit him and shout words of encouragement out the window as you pass. To those of us elsewhere in the world, keep in touch, share his social media posts, send him a Birthday card (he will be turning 30 a few weeks after starting the trip and we will be organising an address for birthday wishes to be sent to him nearer the time), and spread the word of why he is willing to put himself through this. These acts of kindness will not only give him a boost, but it will also give everyone who cares about him that extra comfort that he will be safe. One last request…please get the hashtag #EllenShaveEric trending across all social media platforms. The beard needs to go and the only person he will let cut it off is Ellen DeGeneres. Don’t go yet! 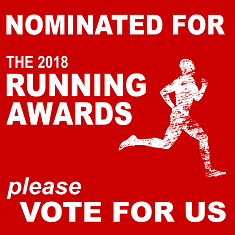 The voting to be shortlisted at the 2018 Running Awards closes in 2 day, on the 19th November! 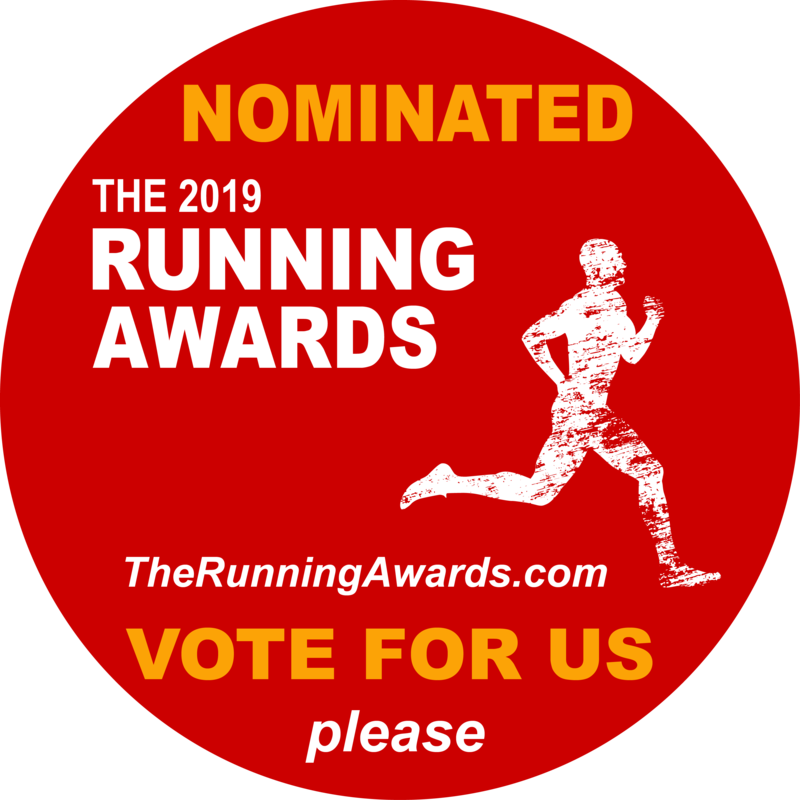 Me and this blog have been nominated in the Online Publications category for next year. I would love it if you could click on the image below and go to vote for this blog, “Corner To Corner USA”. The shortlist will be announced on the 6th December so I will let you all know the results then!